« Natural England and the sterilisation of Britain! Police Scotland are investigating the illegal trapping of a Buzzard near Auchintoul, Strathdearn. Police Scotland can confirm that an investigation into the alleged illegal setting of traps to deliberately target birds of prey near Auchintoul, Strathdearn has been launched. 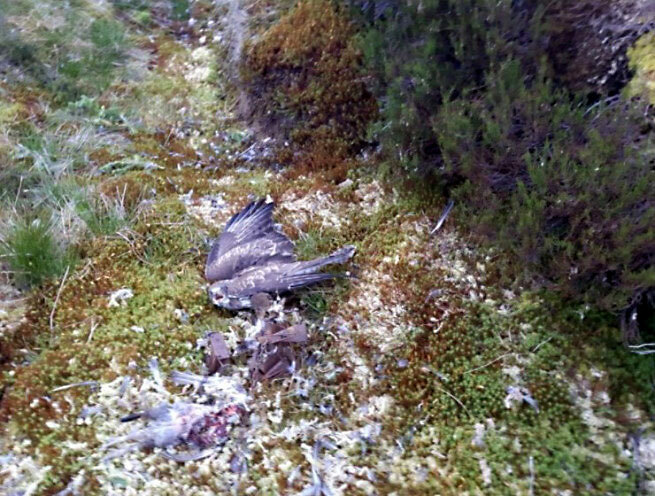 Police were informed of an incident that occurred on 7 June 2017 where a buzzard was found after having been illegally trapped on the south slopes of Beinn Bhreac. The bird was found by a member of the public and was released. Inspector Mike Middlehurst said: “It is very disappointing to have an incident like this reported, especially when there is a great deal of positive work going on in the Highlands to tackle wildlife crime. Unfortunately, there are some who continue to deliberately target birds of prey; there is nothing accidental in the setup of these traps.”I am grateful to the member of the public who came across the bird and for their assistance in trying to free it. They were slightly injured in the process of releasing the bird and had the knowledge to photograph it. We are keen to speak to anybody who was walking or mountain biking in this area over the weekend of 3 and 4 June 2017. If anyone saw people or vehicles on these tracks that they thought out of place or acting suspiciously I would encourage them to contact us.